1. 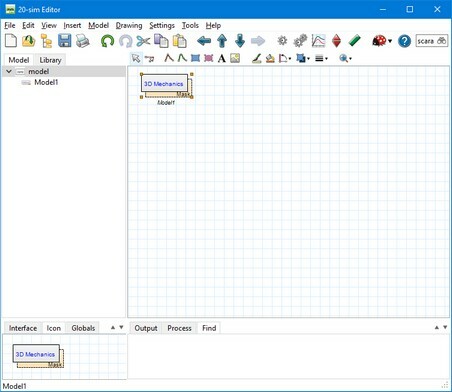 In the 20-sim Editor from the Tools menu select 3D Mechanics Toolbox and 3D Mechanics Editor. Now a masked model is inserted in the Editor and the 3D Mechanics Editor will be opened. 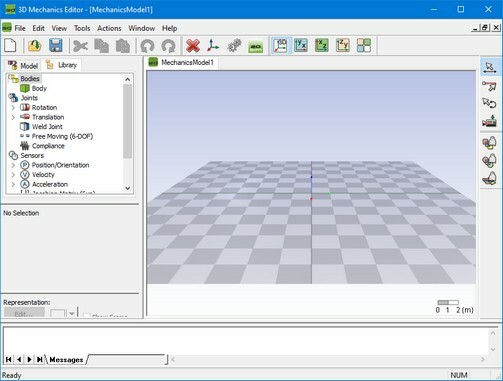 If you select a 3D Mechanics model and select Go Down, the 3D Mechanics Editor will be automatically opened. The first time you start 20-sim 3D Mechanics Editor the following screen will appear.